Since its inception, this family-owned company has specialized in high quality treated wood for customers who will not settle for run-of-the-mill material. Bert and Bill Jones, brothers with exceptional accomplishments in other endeavors, formed Mid-States Wood Preservers in 1979. Their family’s involvement in forest products goes back even farther. Mid-States has never cut corners to compete with average treating companies. 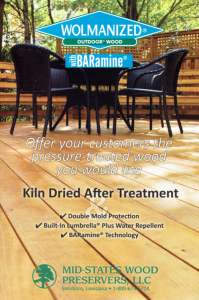 It specializes in #1 and better grades of KDAT treated lumber. With over 30 years of continuous experience with KDAT material, the company is accustomed to producing, storing, and handling dried lumber and plywood. 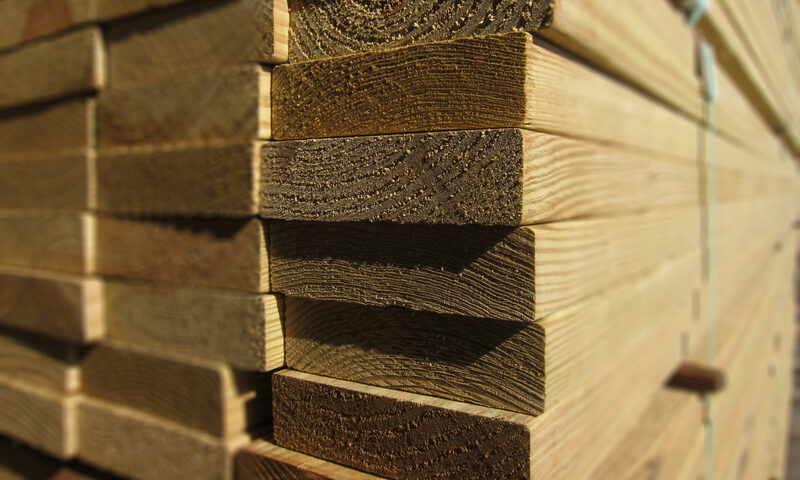 Obtaining top quality lumber may be easier for Mid-States than for others – our small size and many years of principled dealings with top mills enables Mid-States to obtain the best available wood. For all of our products, special shipping services are offered to meet the timetables, budgets, and preferences of customers. Paper wrapping, for instance, is available. Shipments can be made by rail as well as truck. Because we stock KDAT lumber, we are able to provide prompt delivery of virtually all of our inventory products. Our goal is to provide both a superior product and tremendous value for our customers.